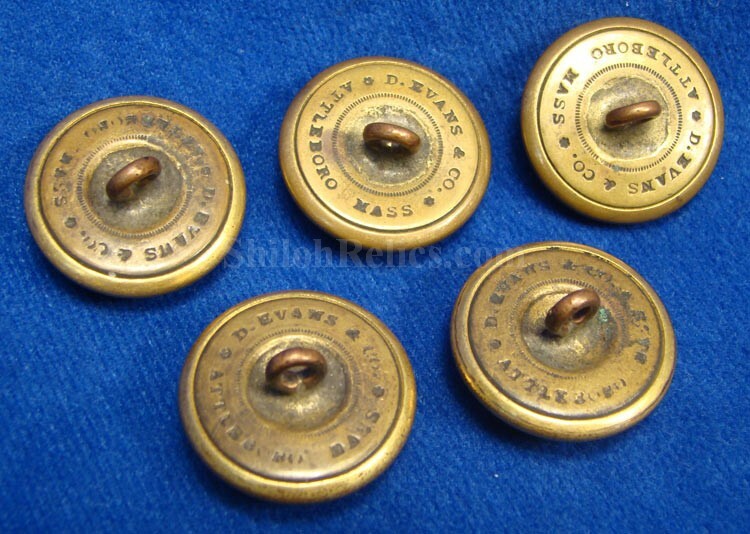 This is a beautiful group of 5 original non-excavated Civil War coat buttons for the Ancient & Honorable Artillery of Massachusetts. 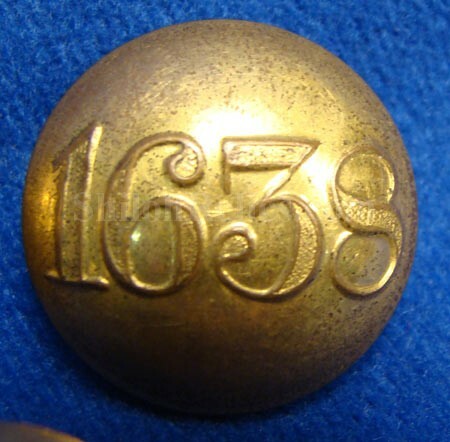 The face of each of the buttons has the date of "1638” which was when the regiment was originally founded. 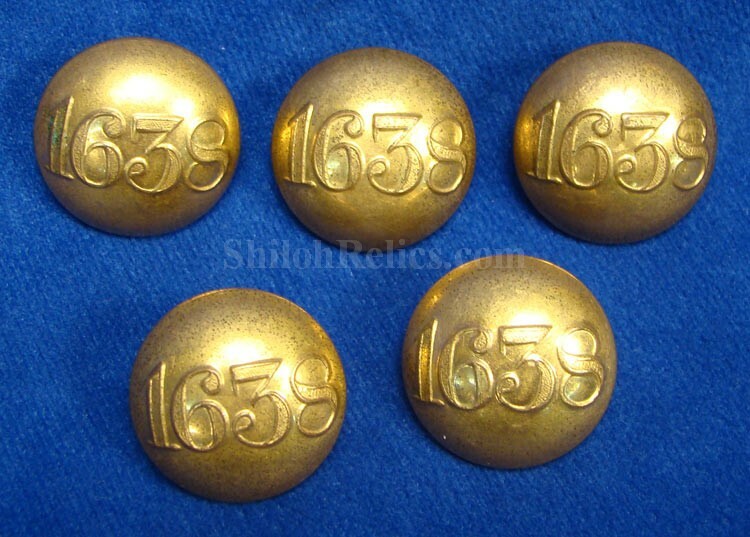 As you can see the faces of the button still retain a very fine amount of the original gold gilding from the factory. 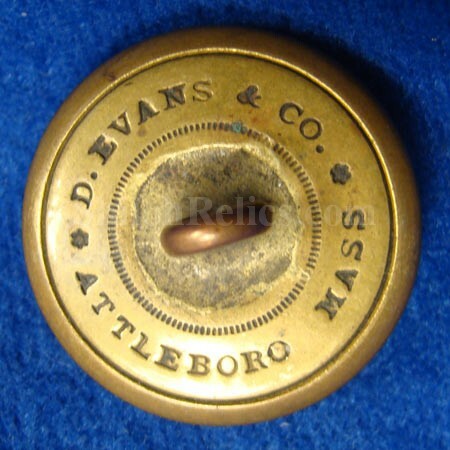 Each of the buttons still have the original back and shank nicely intact on the reverse and a clear retailer’s mark of "D. EVANS & CO. * ATTLEBORO MASS**” with an inner ring of dots. This is the pattern listed as MS48 in Albert’s button book and in Tice’s button book it is MS224. It isn't very often you see this version of the Ancient & Honorable Artillery Coat Button. You get all 5 of the exact buttons that you see pictured for only $175. That's only $35 each. We got a goodbye on these and thought we would pass them along.